This project is now part of the AFPC Defense Technology Program. Established in 2001, the American Foreign Policy Council's Missile Defense And Proliferation Project tracks the worldwide threat of weapons of mass destruction and ballistic missiles, as well as the local and international response to them. Its programming includes an annual Capitol Hill conference on "Missile Defenses and American Security," roundtables for experts and Congressional staff, and the publication of a regular in-house bulletin, the Missile Defense Briefing Report. 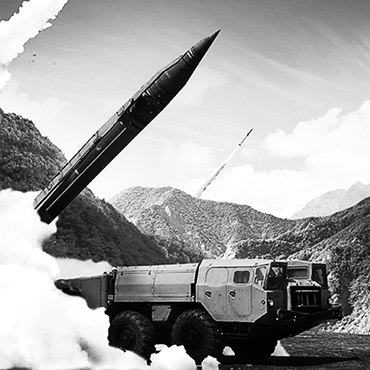 Click here to view the new Strategic Primer on Missile Defense. AFPC Senior Vice President Ilan Berman interviewed on Defense & Aerospace Report regarding missile defense and Iran strategy. AFPC Senior Fellow for Russia Stephen Blank interviewed by Correio Braziliense (Brazil) regarding Russian missiles.